Reporter David Benda posted an article today in our local newspaper about Shasta County median home prices going up from $142K in January to $161K in February. Since it seems apparent that we are still in a declining housing market, the price increase seems counter intuitive. “I don’t know what that is due to,” quotes one of the real estate agents interviewed. I wasn’t asked, but let me offer my opinion. 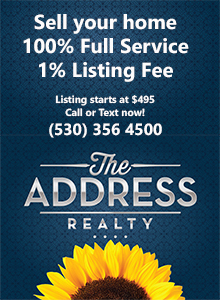 The article says there were 111 homes sold in Shasta County in February. There are roughly 77,000 homes in the county, so the sample was .0014% of all homes. I think that’s just too small of a number on which to base any reliable trend conclusion. On top of that, they use Median price, not average price. The Median is the numeric value separating the higher half of a sample, from the lower half. With such a low sample, all it takes is a few very expensive homes sold to skew the number higher month over month. That happens randomly. The statistic is meaningless. One might as well read tea leaves to sense the market. But I understand the post. They have column inches to fill. Sometimes you just gotta write something about something. Somewhat unrelated: I’d like to post my clarification/opinion over at redding.com. But the anonymous comment environment online there has become so poisonous that, as a small business person, I don’t think I can afford to be associated with what’s written there, which is too bad really. This is a small town, not cyberspace, and ours is a reputation based profession. This entry was posted in Market trends and tagged Market trends on March 22, 2011 by Skip@RHB.